Our first glimpse of the NFC capabilities on the Wii U came a long time ago with a leaked Ubisoft video about the often delayed Rayman Legends. Since the Wii U GamePad has the capability to interact with NFC (Near Field Communication) objects, we knew that Nintendo would have something up their sleeve for a first party title some time or another. Well, here it is: Pokémon Rumble U, the console Pokémon game you were not hoping for! The basic rundown is this: when the game launches, players will be able to buy Pokémon figurines from a vending machine for about $2. Each purchase will be random, so don’t expect to be able to simply buy Pikachu and Bulbasaur at will. Once you have a figurine, using the Wii U GamePad’s NFC ability, you’ll be able to scan the figure into the game to use in battles. “But what kind of battles? !” Not Pokémon battles! Some weirdo, arena style beat-em-up looking battles with tons of Pokémon and coins and who-knows-what. 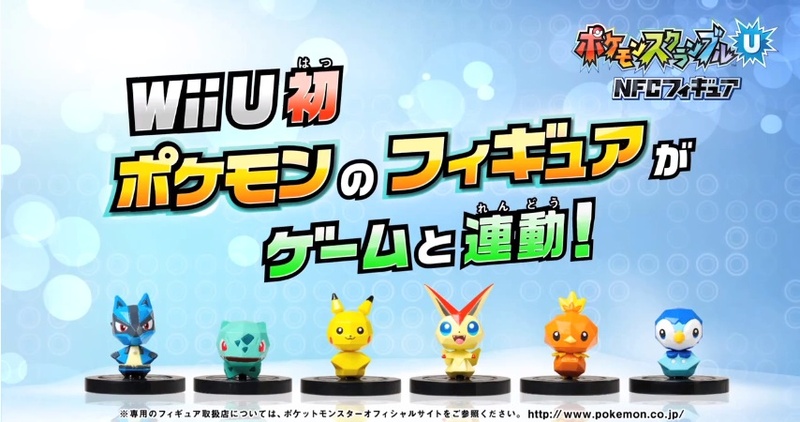 According to Polygon, the figurines you purchase and scan in will be able to grow in strength as you level them and train them. Other ‘mons you capture from within the game will just be worthless drones you send out to battle and hopefully not die. Sarcasm aside, the game probably is pretty fun to play, if the video is any indicator. You probably will not get to play it, however, as there currently are no plans to release the game in the U.S. Pokémon Rumble U is currently dropping on March 24th only in Japan.